2012 General/Course Exhibition Winners: (l-r) Kieren Tan, Harry Smallbone, Toby Butler, Weiyuan Fan (Absent: WeiLun Wang). The Class of 2012 graduated with 178 WA Certificate of Education (WACE) externally-assessed students and 15 WACE Wholly School Assessed (WSA) students. • 20 (11 per cent) obtained an ATAR of 99 or more, putting them in the top one per cent of students across the country. • 29 (16 per cent) obtained an ATAR of 98 or higher, placing them in the top two per cent. • 57 (32 per cent) obtained an ATAR of 95 or more, placing them in the top five per cent. • 91 boys (51 per cent) obtained an ATAR of more than 90, placing them in the top 10 per cent. • The median ATAR for the year group was 90.4. • 4 were awarded General Exhibitions. • 1 was awarded a Course Exhibition. • 14 were awarded Certificates of Distinction. • 19 were awarded Certificates of Commendation. Of the 15 boys who completed Wholly School Assessed subjects seven completed a Vocational Education and Training (VET) course, three completed an Aboriginal School Based Traineeship with Leighton, one completed a traineeship with Reece Plumbing and one finished a Workplace Learning course. Congratulations to James Parker, who was awarded a Certificate of Commendation in recognition of his excellent grades in Years 11 and 12. Headmaster Garth Wynne said the School was proud of its students’ performance and particularly pleased to see boys of a wide variety of academic capabilities achieving excellent results. “These wonderful outcomes are the culmination of the efforts of students, teachers and parents to motivate boys to achieve individual and collective excellence. 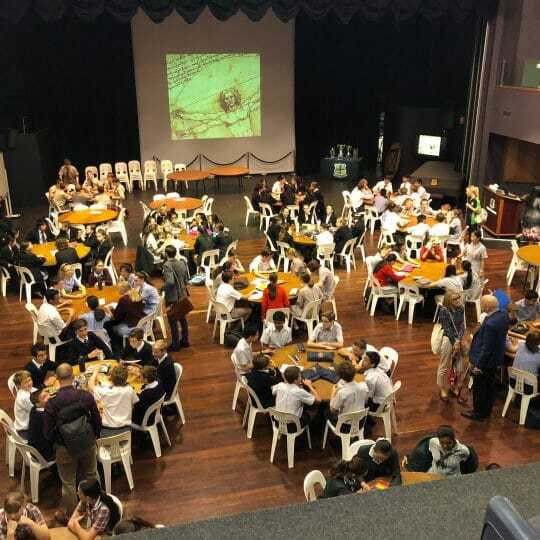 They also demonstrate how well our school caters for the academic needs of boys at all levels – from the high performers, to the middle section and struggling students,” he said. 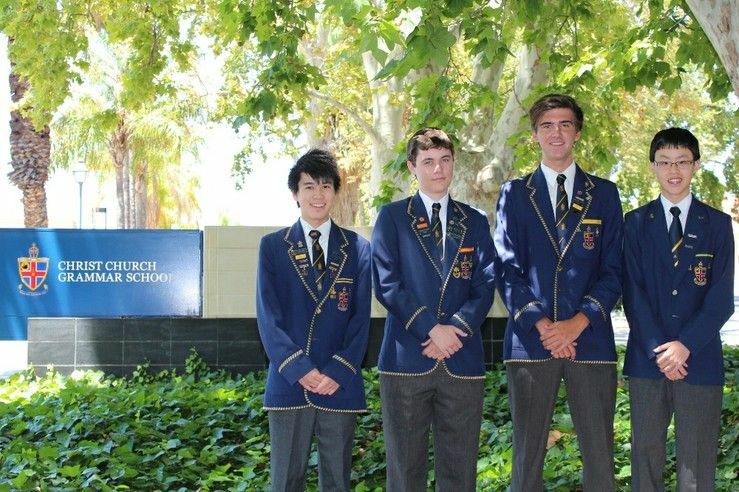 This year, four of our boys received a General Exhibition – awarded to the top 42 students in the State. 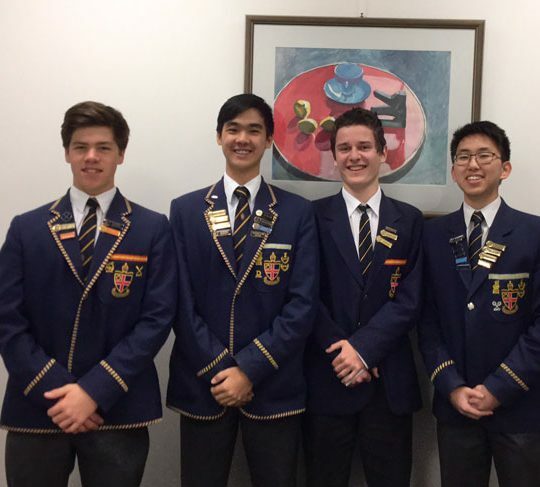 Congratulations to WeiLun Wang (4th) and Kieren Tan (7th), who also achieved the top ATAR scores of 99.95, along with Tobias Butler (35th) and Weiyuan Fan (36th). Congratulations also to Harry Smallbone, who was awarded a Course Exhibition as the top student in WA in Computer Science. 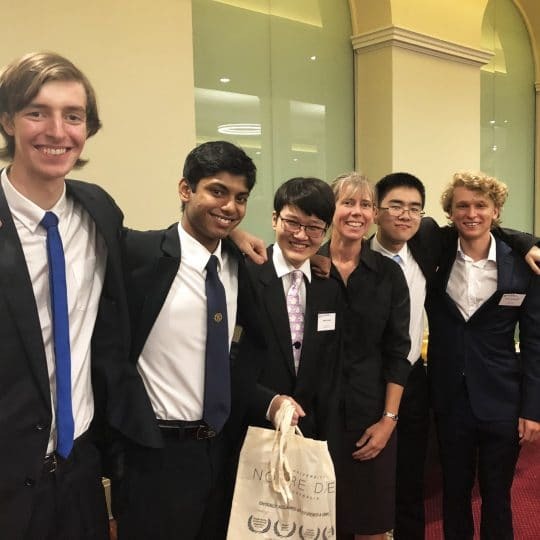 Christopher Brand, Tobias Butler, Joseph Di Francesco, David Ellis, Weiyuan Fan, Arjun Jeyadevan, William Kermode, Nicholas Lawrance, Alistair Morgan, David Ng, James Parker, Broderick Rampono, Aaron Saw, Leonard Seok, Harry Smallbone, Kieren Tan, WeiLun Wang, Thomas Wright and Siyang Zhang.